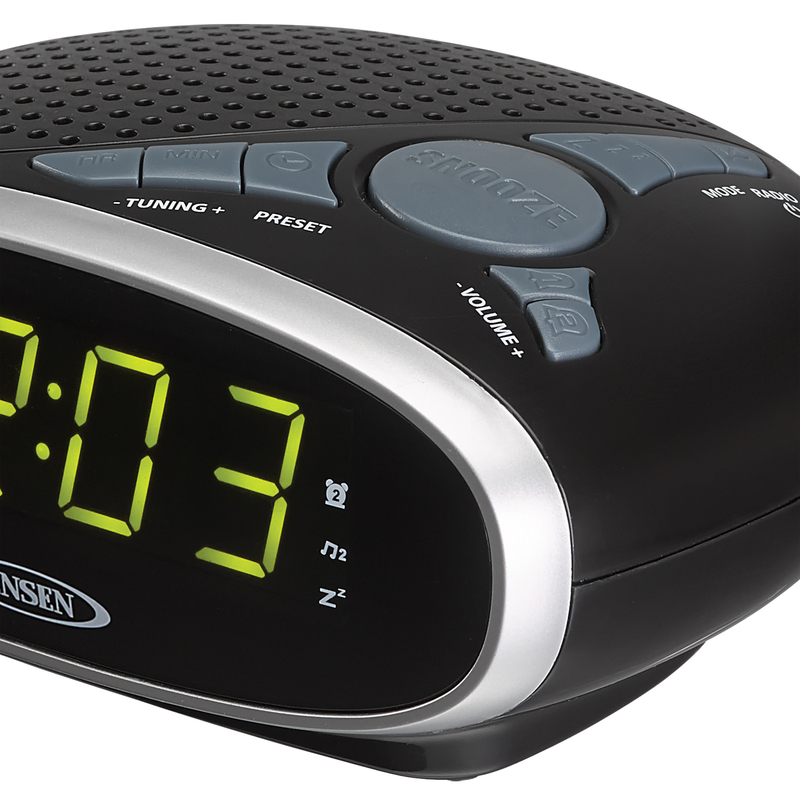 Be on time with this JENSEN® JCR-175 AM/FM Alarm Clock Radio. 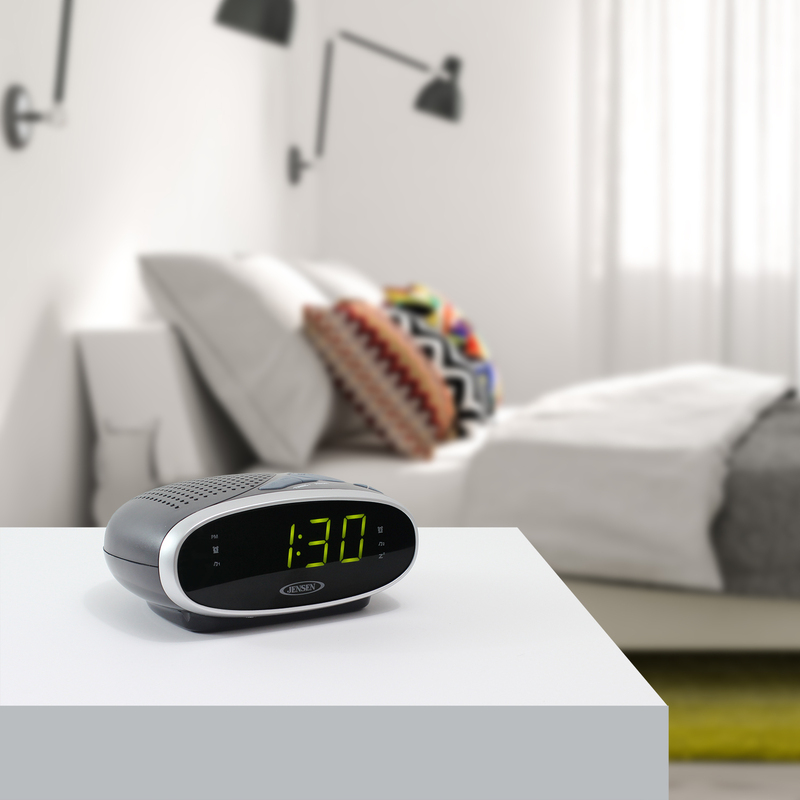 You can wake up to the sound of your favorite radio station or a traditional alarm, fall asleep to the digital PLL radio and allow the sleep function to turn off your tunes after a set time, or catch a few extra ZZZ's with the snooze feature. 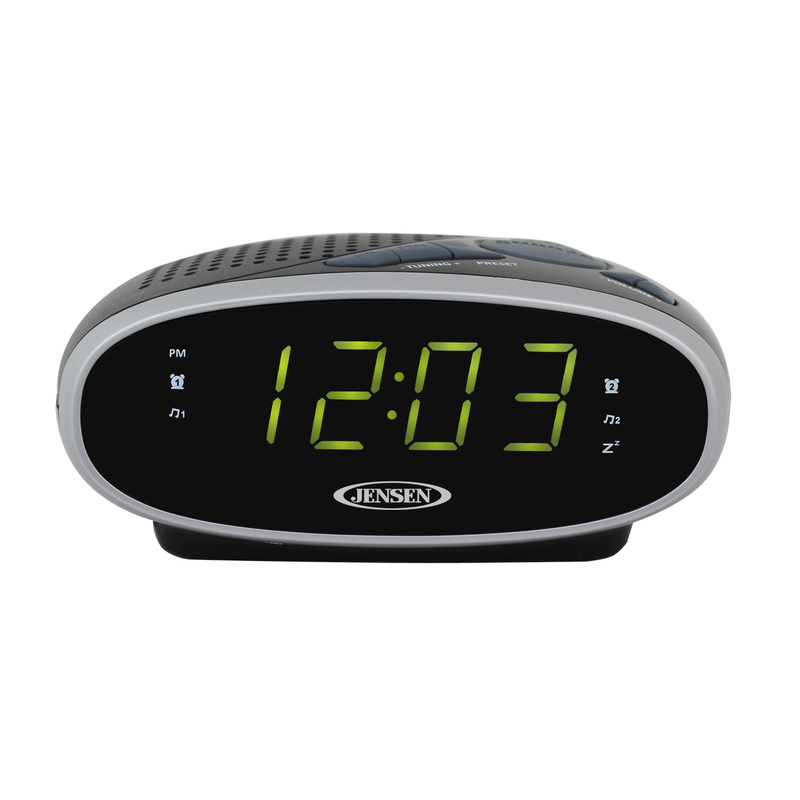 Enjoy an easy-to-read 0.9” Green LED Display. 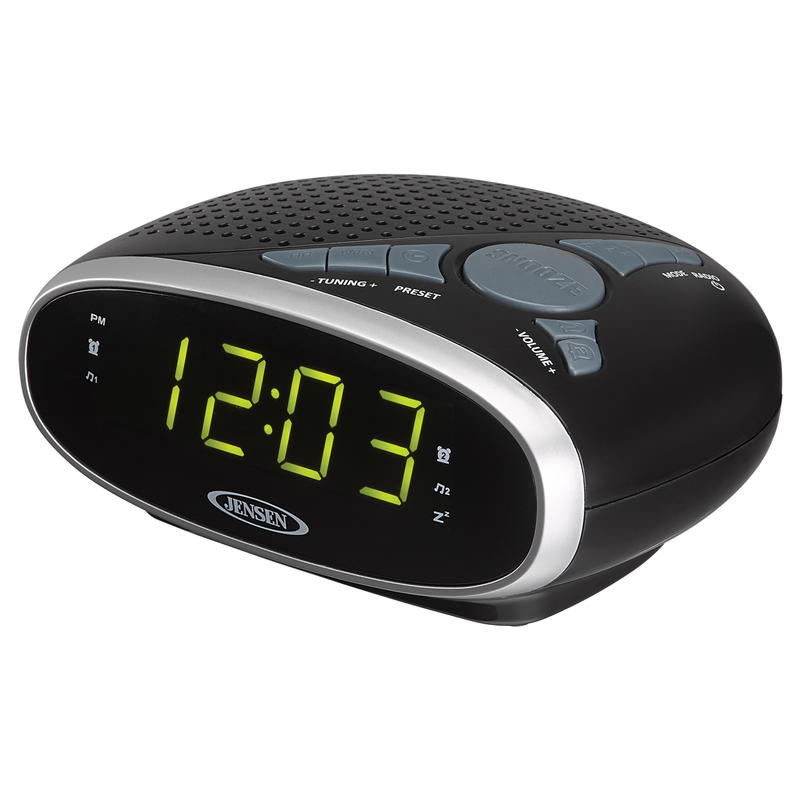 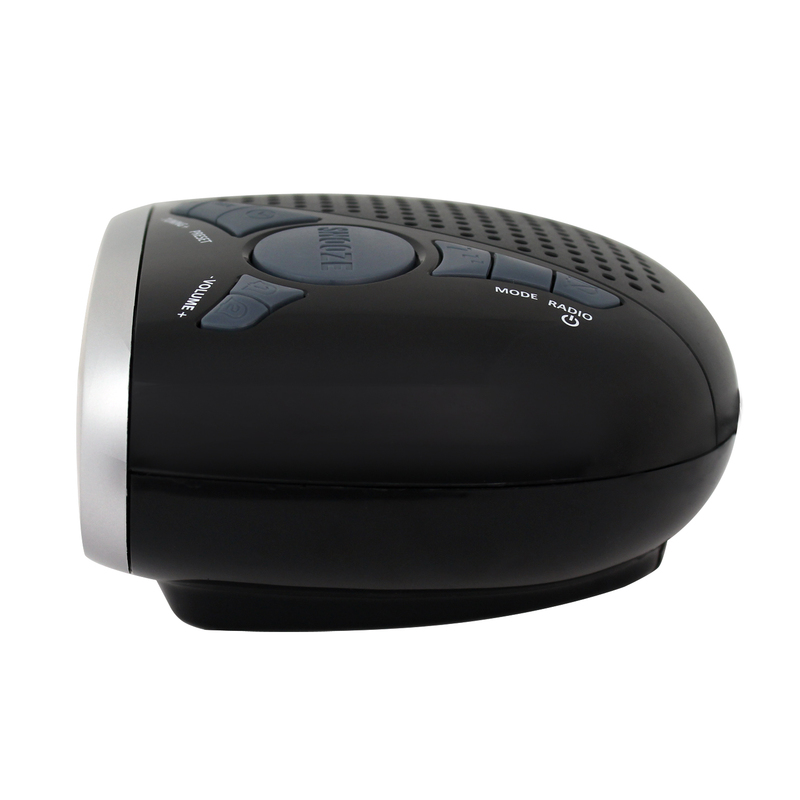 This clock radio is sleek, modern, and comes with an auxiliary input jack that allows you to connect your iPod®, MP3, or other digital audio players. Waking up has never been so easy!